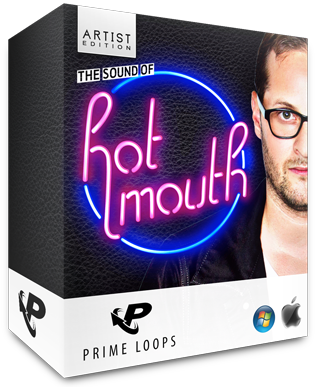 The Sound Of Hot Mouth by Prime Loops is Soundware (e.g. samples or presets that load into other products). He's rocked festivals, featured on BBC Radio 1 and even remixed Lady Gaga to critical acclaim. Turn your ears to the street, Hot Mouth is the name on everybody's lips! From his home-town of LA all the way through to the far corners of the dance music scene! Embracing every element relevant to the human psyche, Hot Mouth elevates audiences with his energetic performances, driving a unique take on the House genre. Combining Tech, Funk, darkness and light, this is boundary-breaking music with one simple premise and that is to please. Featuring drawn-out builds, infectious grooves and intricate basslines, Hot Mouth's sound always falls on happy ears! Hot Mouth brings a breath of fresh air to the Dance music scene and now you can too with this Artist Edition Pack, offering an epic selection of illuminating sounds. Featuring 5 fully loaded folders, you are truly spoilt for choice with 20+ bass loops, 40+ beats, 120+ one-shots, 30+ synth loops and 45+ FX. Weighing in at 320MB you have all the tools you need to build up to a happy House sound in the same vein as Hot Mouth himself. This pack drops via direct download in crystal clear 24-bit high definition and also works with all major software, allowing you get creative in one quick beat! Simply drag your samples from the file and drop them into your software where you can stretch or squeeze to your desired tempo without corrupting the original quality. Each sample contains information on the key and tempo in its title and as always with Prime Loops products, every single one of these sounds comes to you 100% royalty free! Hot Mouth is the word on the street, so if you're making supreme sounds that seem to be falling on deaf ears - take some tips from the master.